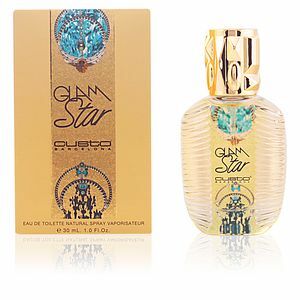 Glam Star by Custo is a “Eau de Toilette“ for women that is included in the chypre fruit family. With this creation, Custo Dalmau, wants us to feel at the center of a great New York party that takes place after an incredible fashion show, a stage full of glamour, sophistication and above all fun. 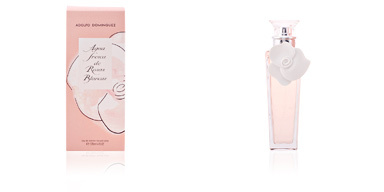 This fragrance was launched in 2012 by the master Alberto Morillas. It is a perfume for the night, and it shows us the funniest and most entertaining side of the catwalks, celebrations and big night events. A world in which we surround ourselves with big stars, haute couture designs and go into the most select clubs in the Big Apple, for many, a wish come true. Its olfactory pyramid begins with a fruity explosion, a cocktail full of joy and strength, created by the combination of tangerine orange, pear and bergamot, refreshing and dynamic notes, which transmit good humour and take us to the heart of this exclusive party, in which red, wild and exotic fruits, sweet and mischievous, combined with musk and jasmine, very feminine notes that denote an air of sensuality. Finally, its woody background also gives us its sweetest side, thanks to the glimmering of tasty vanilla. YOUNG PEOPLE. Glam Star is aimed at a young audience, energetic girls, passionate about fashion and eager to get started and grow in this world full of glamour and style. UNFORGETTABLE NIGHTS. 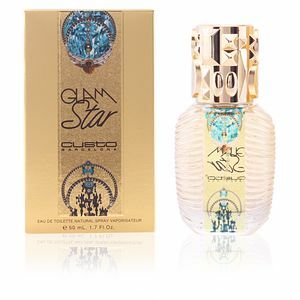 Away from romantic use, Glam Star introduces us to a night world where fun and joy reign. He invites us to dance and meet people, and to enjoy moments with friends. CHIC BOTTLE. Its bottle surprises us with a striking aesthetic. As it could not be less, Custo shapes his essence on him. Carved on glass and with golden and light blue applications, it shows us a luxurious golden liquid inside. A collector's item! Top notes: Mandarin, pear and bergamot. 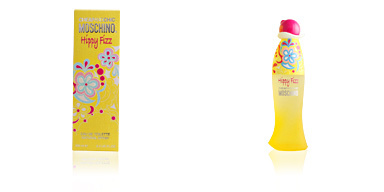 Middle notes: Jasmine, musk, strawberry, raspberry and blackcurrant. Base notes: Patchouli, sandalwood, cedar and vanilla. Glam Star by Custo is a fruity fragrance of the chypre family. Due to its scent intensity, it is an ideal choice for the night time and is timeless. It has good fixation on the skin and is moderately long-lasting and minimally intrusive. 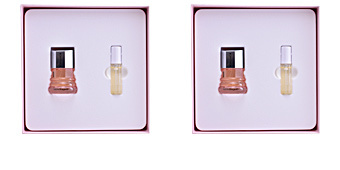 This fragrance is aimed at women between 20 and 35 years old.